Save over $10! We've hand-picked our favourite egg free items just for you. 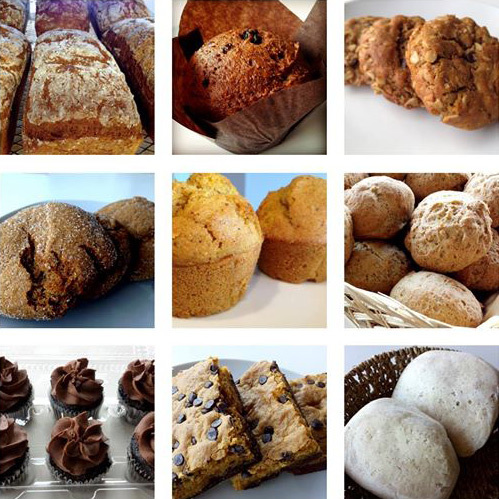 This sampler includes 1 raisin flax muffin, 1 sweet potato cornbread, 3 ginger cookies, 3 oatmeal chocolate chip cookies, 2 fudge cookie bars, 1 loaf of honey sandwich bread, 6 artisan rolls, a package of 2 balls of pizza dough and a 6 pack of double chocolate cupcakes. Yum!